The Ducati Owners Club of Queensland Inc has a long and illustrious history commencing in 1977. Members enjoy a rich social network with other Ducati enthusiasts at various activities such as our popular day rides, breakfast rides, night rides for dinner or coffee and a relaxed chat, meetings, track days, two and three day rides, bike shows and official Ducati events. We embrace machines from historical bevels and singles though to the latest hi-tech masterpieces. 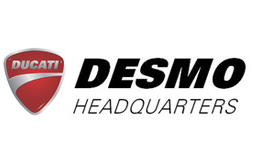 The club is a part of the international Desmo Owners Club network of Ducati clubs, affiliated with Ducati SpA. DOCQ is also affiliated with Motorcycling Queensland, providing members access to competition and officials licences. DOCQ is first and foremost a riding club for Ducati enthusiasts of all ages (both riders and bikes). We welcome new members to join the Ducati family.